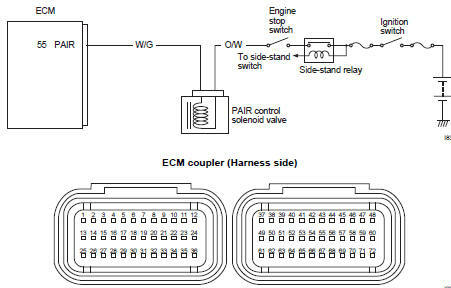 Pair control solenoid valve circuit open or short. Pair control solenoid valve malfunction. 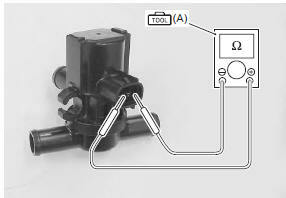 Check the pair control solenoid valve coupler (1) for loose or poor contacts. If ok, then measure the pair control solenoid valve resistance. Remove the pair control solenoid valve. 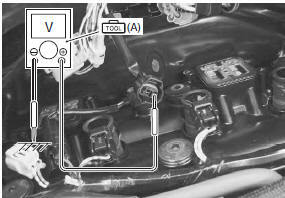 Refer to “pair control solenoid valve removal and installation” in section 1b . Measure the resistance between terminals. Is the resistance ok? Go to step 2. Replace the pair control solenoid valve with a new one. 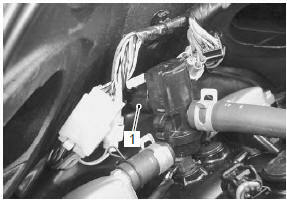 Refer to “pair control solenoid valve removal and installation” in section 1b . Measure the voltage between the o/w wire and ground. W/g wire open or shorted to ground, or poor “55” connection failure. Open or short circuit in the o/w wire. Click “pair sol operating control” (1). Click each button (2). At this time, if an operating sound is heard from the pair control solenoid valve, the function is normal.